Valentino Beauty Pure believes in nothing more than offering you the highest quality products. 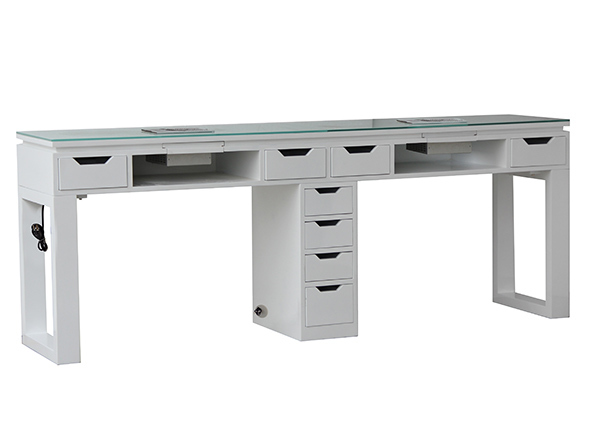 Our Double LUX Manicure Table is a great way to spruce up any salon, spa, or beauty school. It comes with our full feature Flush Mount XL nail dust collector included, a high gloss enamel finish, and tampered glass. Shipping is also included to the Continental United States. Dimensions: L 80" x W 17" x H 30"